Are you making your twenties count? With humility, warmth, and brilliant storytelling, Peter and Kelli invite you not only into their wisdom, but into their very lives, sharing about marriage, faith, drawn-out adoptions, dark nights of the soul, and the God who’s in it all. 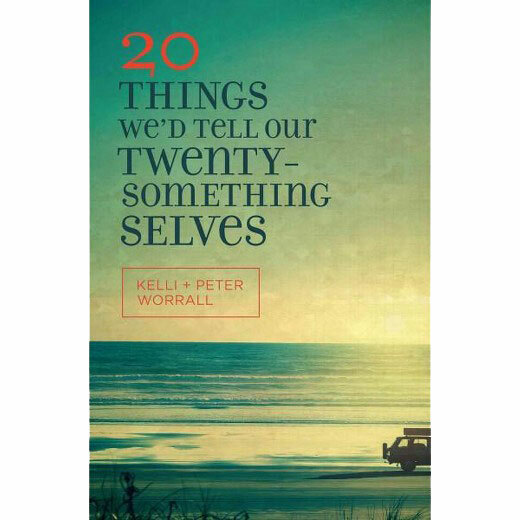 But 20 Things is more than a list of advice; it’s a book that can change your life. Let the trend of your twenties be sowing wisdom, and who knows what the rest of life will bring? Kelli Worrall teaches writing and public speaking in the Communications Department of Moody Bible Institute. She authored the popular article "20 Things I Wish I Had Known in My Late 20s," published in Relevant Magazine. She and husband, Peter, speak together at marriage, college, and young adult retreats, and Kelli blogs at www.thisoddhouse.org. They are parents of Daryl and Amelia.